"I can't say enough about my experience working with Krista from Clear Space. She is a pleasure to deal with and has added tremendous value to my real estate portfolio. Krista is smart, honest, professional and truly understands my business in ways that others have fallen short. She is hard working and has always delivered. I have used her for both design and staging on several projects and I don't think my homes would have sold or rented as fast and for as much $ if I had not hired her. She understands the project goals and inserts herself from the earliest stages including working with your architect to get the drawings just right before permit applications. Krista understands which improvements add the most value and she can source finishes for a fraction of what you would pay elsewhere. This creates a very high end look for less money. She always knows how much to order and works directly with your contractor to ensure it's delivered right on time. I never hesitate to recommend her including to friends and family in any stage of a home improvement because she always comes through." "We had always imagined renovating our kitchen and baths in our home but did not have an 'eye' for what would work well or suit our taste. We were fortunate to find Krista who took the time to understand the flow of our home, our sense of style and other elements of the home that would be complemented by changes to the kitchen and bathrooms. 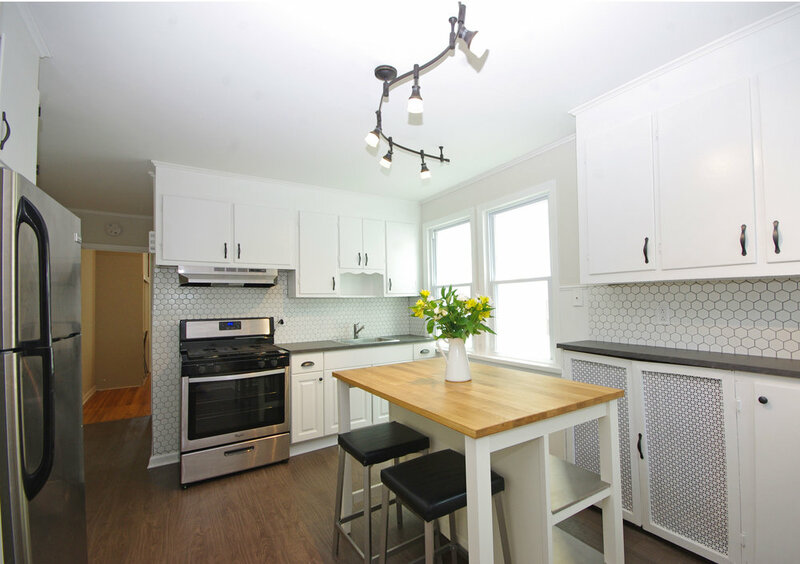 We were very impressed by Krista's ability to think about each facet of the renovation: she maximized the space, she thought about the overall flow of the home and provided excellent guidance for ensuring that we maximized our investment. When the project was done, we were astounded how much more we loved living in our home and our friends and family were equally impressed with the changes. Later on, we decided to sell our home and naturally thought to use Krista. She was instrumental in staging our home to accentuate the aspects of our home that would be important to prospective buyers. The result: in our first weekend on the market, we had a lot of interest in the home and multiple offers. We couldn't have asked for more! We'd highly recommend using Krista for renovations or staging!" "We are so glad we hired Krista to help with our gut kitchen renovation. Her design plan was perfect and she is very well-organized, which took away so much stress we would have had to deal with. She helped us find economical solutions to getting the custom look we wanted and worked with us when we wanted to use harder-to-source materials. She gave great advice to find a good medium between our modern tastes and the Victorian style of the rest of the house. We are very busy and it was such a relief to know she would be directing the contractor on every tiny detail for the finish work to make sure no mistakes were made and that everything looked perfect. She even went through our wood cabinet panels to make sure the workers mounted them with the more beautiful side of the wood visible. She left the workers clearly-printed directions for everything from tile patterns to cabinet assembly and she did great troubleshooting for several issues that came up. We highly recommend her for an easier renovation with beautiful results." "We hired Krista to help renovate a home we had just purchased in Bloomfield. We needed someone that could help make it beautiful and not break the bank. Also, we had never renovated a home and needed someone to help guide us through the process. On first meeting with Krista we knew that she was the perfect fit. She worked within our budget and gave us wonderful ideas on how to make our visions come true without going over the top and spending a ton of money. She also has a wealth of knowledge in home renovation and a large arsenal of contractors and subcontractors she works with that give her great deals. She is the whole package: a designer, buyer, and project manager all in one. She recommended we “refresh” some spaces, which keeps costs low. For instance, Krista noticed our bathroom didn’t need a total overhaul and she utilized original tile and fixtures while giving it an updated look. However, we really wanted to totally change the kitchen and chose to remodel it instead. We originally thought of doing a peninsula but Krista found a way to incorporate an island instead - totally genius! Having an island has provided so much better flow and walking space than a peninsula. Overall, Krista’s services drastically improved the value of our home. I know that whatever money we put into the home we would get back and then some, but our home is so beautiful now I can never imagine selling it! On top of all this, Krista was incredibly organized, detail oriented, very responsive, and just an overall joy to work with. I cannot recommend Krista enough! She is the BEST!" 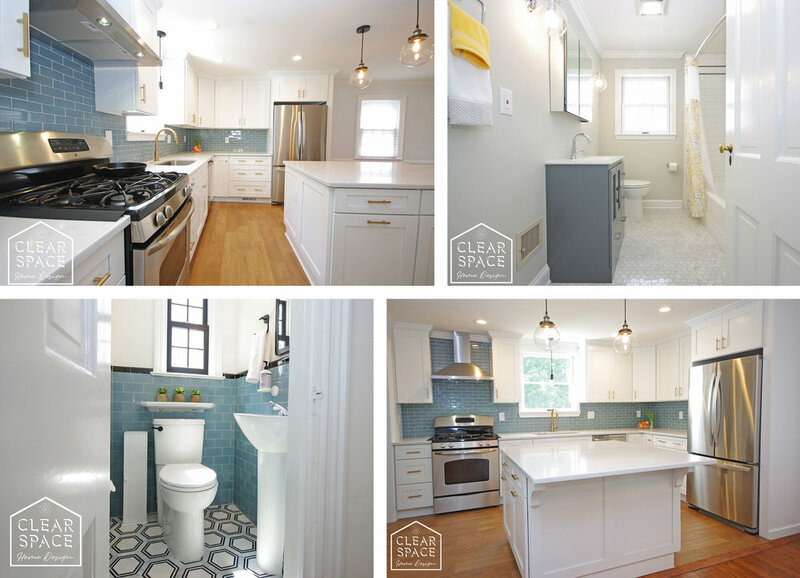 "My husband and I have lived in our Glen Ridge, NJ home for eight years, and though we were happy with our house, we never felt like we loved our home…until we worked with Krista at Clear Space Home. Krista listened to our frustrations with our first floor living room and kitchen and encouraged us to re-imagine how we could make our current home our dream home without doing major renovations and spending tens of thousands of dollars. She put together a detailed project plan – taking into consideration the value of our home and market comparables to help us to determine what projects were worth it and to eliminate those that weren’t. She seamlessly managed a complete first floor renovation which included refreshing our kitchen, creating a mudroom solution, new paint throughout, lighting and decoration—all for less than the cost of a big renovation. Krista helped us save time, money and stress by managing the buying process, bringing in her trusted contractors and overseeing a successful installation. We love our new space! Every time we walk in the front door, we feel happy and appreciate the work that she did. It’s brighter, and somehow looks much larger than it was before, and finally matches our taste. We would highly recommend her…in fact, she’s already gone on to do projects in several of our friends’ homes! " "I am so glad that we hired Krista to help us get our Montclair home ready for sale. Our house needed to be updated and refreshed. Krista made a great, organized design plan with an emphasis on improvements that would increase the value. She took into account the style/age of the house and came up with a cohesive design that was updated and appropriate for the house. We were amazed by the results when completed. It looked as if we had spent much more than we had. The house looked modern, inviting, bright, and perfect for pictures and showings. She went above and beyond with the details and it made a huge difference. Our realtor set the listing price for higher than we thought possible and it sold very quickly and easily. The amount of value that Krista added was tremendous, making her fee completely worth it. In addition to the added value, I would recommend Krista as a way to make your house sale easy and efficient. She was so easy to communicate with and super-organized. Since she took care of the design and communication with the contractors, I was able to go away with my family for a couple of weeks, and come back to a house that was ready for sale. She thought of everything so that I didn't have to."